At first look, I thought that this would be a stuffy and quite honestly boring book on a subject I am not interested in – Politics. But I “accidentally” purchased it and felt obliged to give it a try. Boy was I surprised! This is the powerful story of Kevin Adams and his family and how they fell from their financial success and then how God brought them to total surrender through many challenges in their financial situation. They learned to completely trust in God as their provider and that story is awesome. I gleaned many powerful thoughts from this book and some great insights concerning our relationship to God and waiting upon God’s provision. To see someone who has lived waiting upon God completely gives great credibility instead of simply teaching on it from the Bible. 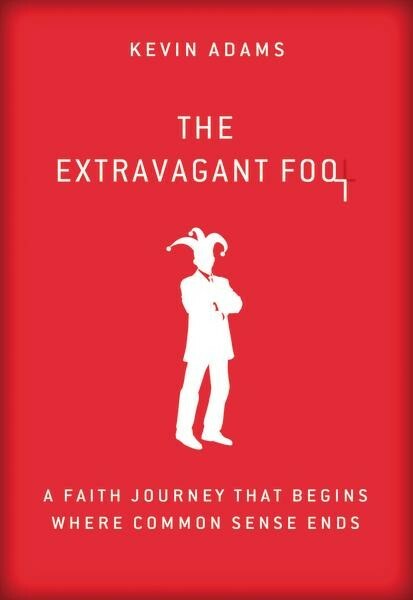 Many have compared this book to “Blue like Jazz.” For me “The Extravagant Fool” doesn’t even come close to how “Blue Like Jazz” spoke to me and how easy it was to understand. I don’t know what it is, but I had to read some paragraphs two or three times to try and understand what Adams is saying. Am I slow? Maybe it’s all the metaphors? Maybe it’s because I’m not a businessman. I had a hard time understanding the story itself at times and what is concretely going on. Most difficult to understand are the numerous journal entries. It’s almost like he is speaking in some kind of code and I don’t know what that code is – that is, except for journal entry #23, which was filled with pithy sayings or lessons that are truly gems. I don’t want this review to be totally negative because it’s a powerful story of God’s calling and leading. I have been amazed many times in this book to see how Adams had to literally lay his life on the line in faith – especially with this new calling of being a writer. I hope that he continues to write as God has called him and will be led to bless the body of Christ more than ever. This book has been reviewed as a part of the Booklook Blogger review program. Thanks to Zondervan Publishers who provided a copy for review. I was not required to write a positive review. This book is an eye-opening account of the life of a refugee family fleeing from Vietnam in the late 70’s. Extremely detailed, Chung gives an account that stretches for the first section back to his grandparents and all they went through to establish a successful business and then the devastation that the invasion of the communists did to their family. The second part o f this story takes place duringthe escape from Vietnam and all the perils involved. Its mind boggling to read how this family survived through absolutely horrendous circumstances – dozens of times they should have died except for the providence of God. Finally, the last section of this book tells us how the family survived in America with no money, no language, and no credentials for work. It is here that the details of their interaction with others in America and their adjustment to life here is most revealing. I have to say that this autobiography has had a major impact on how I view refugees and helped me to realize how important it is for us to lift them up in respect, dignity, and honor. Jesus would first and foremost would have made it a priority to care for people like refugees. We take so much for granted and so easily look down on those who don’t speak English, look different than us, dress strangely and are dirt poor. We simply don’t understand them. Read this book and you will see yourself in their shoes. This book has been reviewed as a part of the Booklook Blogger review program. Thanks to Thomas Nelson Publishers who provided a copy for review. I was not required to write a positive review. It’s not a book you really read continuously from cover to cover like most. 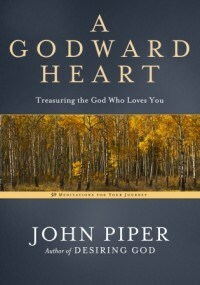 Piper’s A Godward Heart is more of a devotional that you pick up every day or from time to time in order to be inspired by a portion of Scripture or a inspirational theme concerning our relationship with God. It’s a mixed bag – some meditations are better than others. But, as always, John Piper is an excellent writer and communicator and has insights that are at times brilliant. What I love is that you sense that he is not just exposing the Scripture but he is exposing his own heart as he grapples with God and the Word. Piper is very real and in that way he takes us along in his journey. My favorite moment revealing that intimacy was when he tells of how he came face to face with a seminary professor who simply said: “I love Jesus.” (p. 22) That simple phrase had a huge impact on Piper – a simple profession that means everything. This is a book that will draw you closer to the Lord in so many ways and so we can thank John Piper for bearing his heart and revealing the Lord in the Word. I received a complimentary copy of this book from the Blogging For Books program from WaterBrook Multnomah in exchange for this fair and unbiased review. Philip Yancey returns to his book “Where is God when it hurts?” and responds once again to tragedy in the light of three recent tragedies: the war in Sarajevo, the tsunami in Japan, and the killings at Sandy Hook Elementary. 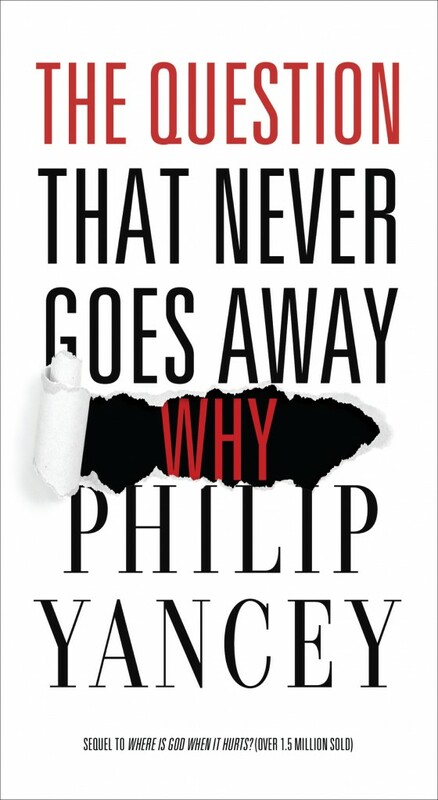 Yancey spends much of his time making it very clear that there are no easy answers. This is certainly not a book to answer clearly the question: “Why?” Instead he weeps with those who weeps and takes us along into the journey of those involved in these horrible tragedies. I was most touched by the chapter that delved into the tragedy at Sandy Hook. It was here that Yancey most profoundly finds the words that are a balm in the midst of tragedy as he takes us almost word for word through a memorial he led at a nearby church. After reading this book, I am so thankful for the loved ones that I do have and receive every day I have with them as a gift from God. This book has been reviewed as a part of the Book Look Blogger review program. Thanks to Zondervan Publishers who provided a copy for review. I was not required to write a positive review. 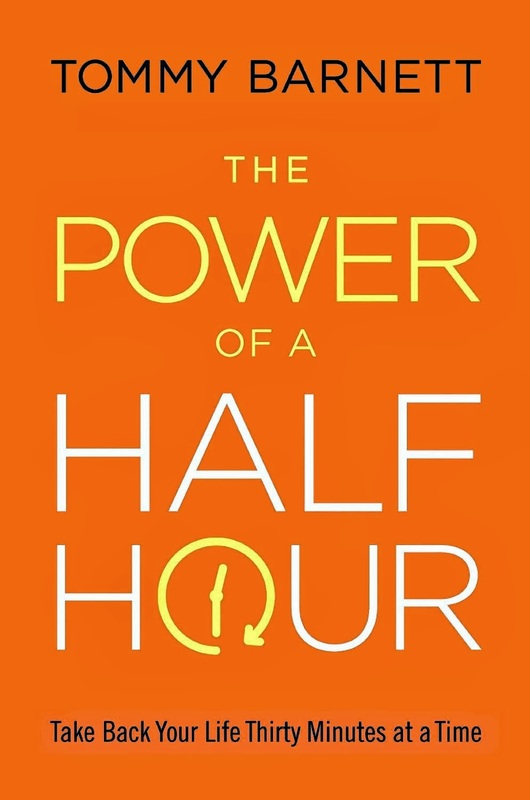 Very well written, The Power of a Half Hour by Tommy Barnett is a practical book about using your time wisely in a way that will impact your life and the lives of those around you. Barnett’s thesis is that breaking your time into chunks of 30 minutes to accomplish various goals and activities is a powerful way to turn your life around towards the purposes of God. The chapters are very brief – they can easily be read within a half-hour and therefore it’s not daunting. Barnett systematically deals with almost every area of Christian life and discipline. In fact, it almost seems like the book is a discipleship guide. What I like about this is that it’s very practical rather than theoretical. On the other hand, I felt like the “half hour” principle was sometimes forced. Not everything important in life takes place within 30 minutes and yet he makes it seem like that. Five minute increments can be just as important as 30 and the same can be said about an hour or two. Jesus would pray all night and fasted for 40 days. That said, I would recommend this book as a discipleship guide. It would be ideal for a small group to read and discuss on a weekly basis. And Barnett always keeps our feet on the ground making it very real all the time and that is what is needed. Walk the talk. Thank you to Waterbrook Press, which provided a copy for review as part of the “Blogging For Books” program. I was not required to write a positive review. 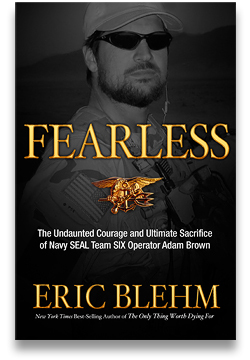 This is the true life story of Navy SEAL Adam Brown. This is truly an inspirational story as you see how one man is able to overcome so many obstacles to succeed at the highest level in the US military. What is amazing to me is that this is a story of a crack cocaine addict who is able through the help of the Lord God to overcome his addiction which basically had destroyed his life. His focus on being the best he can be through the military and defending his country is amazing. Over and over again the principles of patriotism, hard work, being a team player, family, and of course serving God above all come shining through. Although Adam Brown was by no means perfect, he is an outstanding role model for men today and I am very thankful his story is told. I hope that this story will inspire many others not to be a big hero in lifting themselves up but in being a servant to lift others and carry them. Selflessness is the core element seen over and over again in Adam’s life and that is what it is to follow after Christ. We need more true life heroes like Adam Brown! I’m thankful for books like this which draw Christians back into the Old Testament. Author David Murray notes many times that most Christians know little if anything about the Old Testament and don’t relate it to Jesus at all. The author takes us on his own journey of discovery into the Old Testament in which he finds Jesus Christ over and over again. The first section of the book is this initial discovery of Jesus in the Old Testament. The second (and main section) takes the reader through specific areas in the Old Testament which reveal Jesus. I think this is a good introduction for the average Christian to the concept of Jesus as found throughout the Old Testament. He doesn’t get into too much detail and moves quickly from example to example which helps the reader stay focused. Personally, I would have liked to see much more detail and development of many of his points but that would demand a much longer book and less accessible for every reader. Murray throughout the book cites reformed sources and authors, apparently in order to give greater credibility to what he is saying. First of all, I don’t believe that he necessarily needs those citations to bolster up his argument. Scripture is clear alone. Secondly, for those (like me) who are not from a reformed background, it doesn’t add (or take) anything from the credibility. They are simply quotations to support the point. They do reveal that his insights into the Old Testament are nothing new. 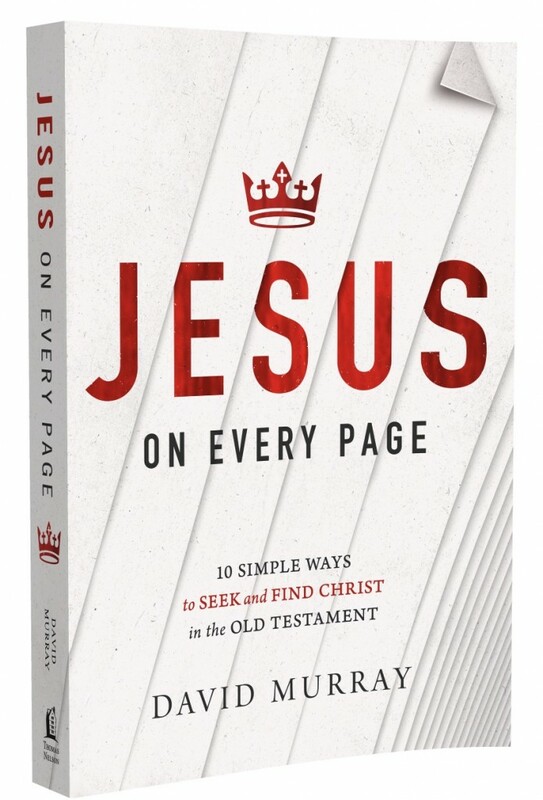 That said, I hope that many people read this book and rediscover the Gospel in the Old Testament – find Jesus in the first 2/3 of their Bibles. It’s nothing new – Christians have been finding Christ in the Old Testament since the first century. 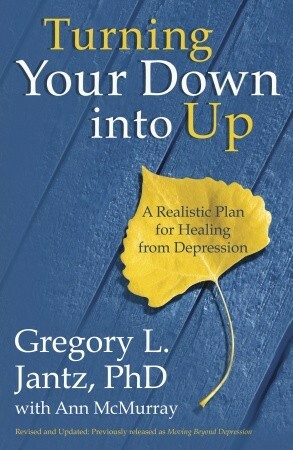 Turning Your Down into Up is a book written for people who are suffering from depression. I found this book to be very practical and useful. Although I haven’t experienced the kind of depression that Dr. Jantz describes, I found it very helpful to know the symptoms and as a pastor I can use this resource as a help to those who are in need. Each chapter is filled with practical examples of the stories of those who struggle and the background issues behind their depression. Jantz fills his book with so many varied examples that it seems that anyone with depression should be able to find a point of contact and help. I found it very insightful that Jantz gives homework at the end of each chapter as well as the use of journaling. This is not just about knowing the causes or issues involved but he asks the reader to actually do something in your life about it. Also, his approach to depression is holistic. For example it can be caused by family background, abuse, present loss, chemical imbalance, spiritual issues or any combination of these. I appreciate that he spent a chapter on the spiritual issues and healing that is needed although I wish it was more of a central topic than just one of many chapters. But all in all, I would recommend this book for anyone who is suffering depression. 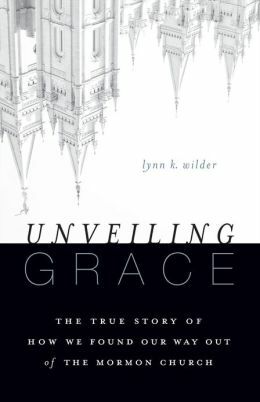 This book is a first person account of a woman who was a member of the Mormon church for over 20 years and eventually left the church as a result of reading the New Testament. Eventually her entire family leaves the Mormon church and become Christians. This is their story. Reading this book was very eye-opening to say the least! First of all, it was very well written so it was easy to follow. But secondly, it was absolutely fascinating to hear firsthand about this hidden world of Mormonism revealed. Over and over again I was shocked as to the control and manipulation of the leaders of this cult. At the end of the book is a very helpful appendix which supplies a list of Christian ministries to Mormons, a glossary, and a very helpful table of comparisons between the Scripture and Mormon teachings. Honestly, I had a hard time putting the book down as I was anxious to see this family freed from the deception in which they were enslaved. If you have a connection with anybody from this cult, this book is a must-read! This book has been reviewed as a part of the Book Sneeze Blogger review program. Thanks to Zondervan Publishers who provided a copy for review. I was not required to write a positive review.